Modern Japanese Tanka edited by Makoto Ueda. Twenty Japanese poets: their development of tanka in the 20th century. Yuki Teikei Haiku Society: Annual anthologies. Ballade. Cinquain. Concrete. Fib. Ghazal. Lai. Pantoum. Prose poem. Rondeau. Rubáiyát. Terza rima. Triolet. Tritina. Villanelle. Bashō. Beverly Acuff Momoi. Claire Gallagher. J. Zimmerman. J. Zimmerman (haiku). J. Zimmerman (haibun). J. Zimmerman (tanka). Jane Hirshfield. Kay Ryan. Kay Ryan's style. Kay Ryan The Best Of It: New and Selected Poems. Marianna Monaco. Ouzel (James Arnold). Patricia J. Machmiller. Shiki. William Shakespeare. A hand-crafted chapbook published in a limited edition by Conflux Press. An exquisite presentation of gorgeous poems that explore the poet's experience of marriage and of entering a Japanese family through that marriage. Remember the first words that were mine? and see her, the phrase comes back. © 2010-2015 by Beverly Acuff Momoi. 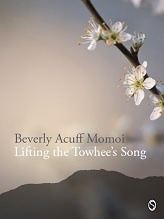 Beverly Acuff Momoi's haibun collection Lifting the Towhee's Song is recently published by John Barlow's Snapshot Press and can be read online at: http://www.snapshotpress.co.uk/ebooks.htm. This chapbook was awarded a 2011 Snapshot Press eChapbook Award for haibun written after the earthquake and tsunami in Japan in March 2011. All of the award-winning eChapbooks are free to read on the Snapshot website. Also included on that website are opportunities to submit haiku eChapbooks to Snapshot Press. © 2012-2015 by Beverly Acuff Momoi. Momoi is featured in the 2015 A New Resonance 9, with sixteen other "emerging"poets. © 2015-2015 by Stewart Baker. Brad Bennett — I specially like his "New Year's resolutions" but that is probably because I have made so many myself! © 2015-2015 by Claire Everett. © 2015-2015 by Kate S. Godsey. Cara Holman — some good ones. P.M.F. Johnson — a funny guy; nice to have the leavening of his mascular slants. Gregory Longenecker — many favorites here — 17 of them! And long over-due. Jonathan McKeown — again some good ones. © 2015-2015 by Ben Moeller-Gaa. 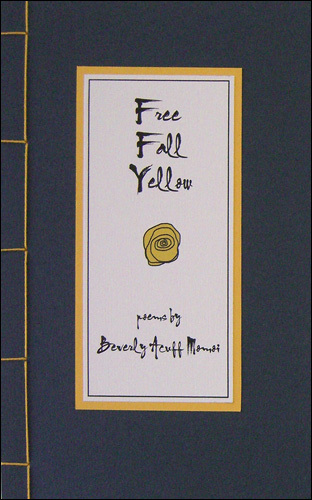 Beverly Acuff Momoi — wonderful collection. © 2015-2015 by Polona Oblak. Thomas Powell — again some good ones. Brendan Slater — again some good ones. (though I don't see the need for the linebreak between L2 and L3). © 2015-2015 by William Sorlien. Michelle Tennison - again some good ones. Julie Warther - good solid work.